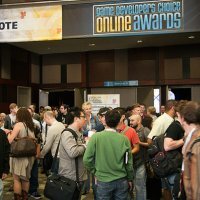 Organizers of last week's GDC Online in Austin have revealed over 3,000 attendees for the online game-specific event, which concluded on Friday, also announcing a return to Austin on October 11th-14th, 2011. The event, formerly called GDC Austin, attracted thousands of local, national, and international attendees at the Austin Convention Center in Austin, Texas -- with attendees from the UK, Europe and Asia mixing to hear insightful sessions, inspiring discussions, and lively networking opportunities in the areas of online and connected gaming. Highlights from this week at GDC Online (formerly GDC Austin) included a keynote from noted industry figure Brian Reynolds, Chief Game Designer for Zynga, the company behind the massively popular FarmVille and FrontierVille, alongside major lectures from Raph Koster, Richard Bartle, and many other online and social game notables. 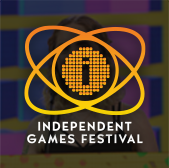 This year's event also marked the debut of the Game Developers Choice Online Awards, led by Riot Games' acclaimed online strategy title, League of Legends, which received five awards. 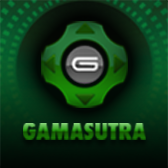 Extensive online coverage of the event included a plethora of write-ups and news announcements by UBM TechWeb Game Network sister editorial site Gamasutra.com, as well as an official Flickr photo gallery visually documenting the event. GDC Online featured more than 140 lectures, panels, keynotes and roundtable discussions presented by 190 industry-leading speakers -- and a bustling expo floor with more than 85 exhibitors and 30 sponsors. 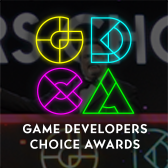 More than 100 of the sessions -- as well as the Awards -- have been recorded and will be available in the near future on GDC Vault service, which now includes a limited-time paid Beta for individual subscriptions. Following the success of the show, GDC Online organizers also confirmed that the event will be once again be returning to Austin, Texas -- this time on October 11-14, 2011, with more information on next year's edition available at the official GDC Online website over the next few months.